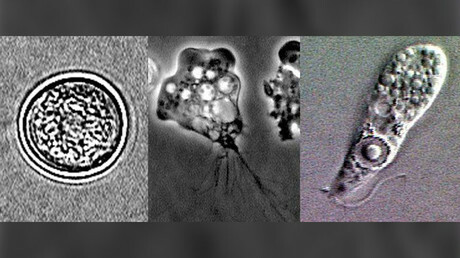 A brain-eating amoeba has been detected in the Louisiana water system – the third time the potentially deadly organism has been found in the same district since 2015. Naegleria fowleri, a parasite which causes fatal brain swelling and tissue destruction, was identified in Terrebonne water. All freshwater sources in the parish have been affected, including drinking water, water in the bayous and pools, and water used for showers and baths. The fatality rate for those infected by the parasite is over 97 percent, according to the Centers for Disease Control and Prevention (CDC). Officials from Consolidated Waterworks say the water is “perfectly safe to drink” – it’s just not safe to get up your nose. Infection occurs when water containing the amoeba enters the body through the nose and travels to the brain where it destroys tissue. A notification was issued to residents in the community of Pointe-aux-Chenes, Sunday, and a 60-day pure chlorine wash has been applied to kill the microbes in the water. This marks the third time in three years that the amoeba has been detected in the area. Last June, Terrebonne Parish’s water system tested positive for the amoeba in Isle de Jean Charles, where it had also been found three years ago. In 2013 a five-year-old Louisiana boy became the first person to contract the deadly amoeba through tap water. The boy, who later died, was believed to have been contaminated through use of a backyard slip-n-slide. A total of 40 infections have been reported in the US between 2007 and 2016, according to the CDC. Older Save on shipping! Lowered Rates.